The Fall 2008 Reunion is finally completed, and we've been through a real adventure. With exception of 29th Degree, this is the first time our Valley has worked the new Degrees. We had new casts, new scripts, new props, and the added challenge of performing a ritual that none of us had seen before. In our Symbolic Lodges and in Scottish Rite, each of us came up through the ranks watching the Degree work and we had time to become familiar with it. This occasion was different. This Reunion separated the ordinary ritualist from the true thespian. And guess what... We have a number of thespians among us. Last October 25th, we witnessed the 4th Degree, Secret Master. If you did not know that the cast was performing it for the first time, you would have thought they had been doing it for years. It was smooth. The players knew their parts. It began and ended on schedule. If they had problems with the Degree, they did a great job of concealing the matter. Of course, that Degree is about secrecy, isn't it? I was privileged to participate in smaller parts of the 14th and 30th Degrees. Those roles allowed me to see the amount of effort that the cast members and Degree Directors put into the production. And behind the scenes, the Temple staff was also active, scrounging up costumes, regalia, and props, as well as setting up the stage, the projector, and arranging the sound system. On February 20, we witnessed the 18th Degree. The performance was absolutely stellar. The 18th Degree has always been colorful and dramatic. The new version is more so. In the hands of the San Jose 18th Degree team, it was truly remarkable. The candidates were especially impressed. As were the sideliners. On the 21st, we portrayed the 29th, 30th, and 32nd Degrees. The Knights of Saint Andrew did really well on the 29th Degree, as expected, and improved several points over their previous performance. The 30th Degree team took on a complex plot with a lot of behind-the-scenes action and presented its teachings well, despite several last-minute changes. The 30th used several new props built by one of the team members. The 32nd Degree is the capstone of the Reunion, and it is a Consistory Degree, so the Master of Kadosh should comment on it. Like the others, this Degree came off well, despite what I heard from a few pessimists. 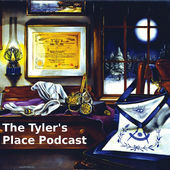 The 32nd made use of pre-recorded voiceovers, which is something new for Scottish Rite. It turned out to be a good thing because a few of the voices belonged to Brothers who had engagements that prevented them from attending the Reunion that day. Also, the 32nd cast had a few last-minute substitutions, the Degree Director's worst nightmare. But the Brothers filling in did an excellent job of speaking their parts and keeping their scripts out of sight. The reason we exemplify Degrees is to learn the lessons they teach. The 32nd Degree, Master of the Royal Secret, teaches you what the Royal Secret is and why it matters. Previously, you had to listen very carefully, and the speaker had to enunciate very clearly, otherwise you would miss the point entirely. In the new Degree, the script has changed, and that teaching is much clearer. So for all you Scottish Rite Brothers who don't know or can't recall what the Royal Secret is, be sure to attend the Fall Reunion to brush up on this essential teaching. I was very pleased to see that all of the Consistory Officers took active roles in the Reunion. Ken Justus, 32° and Gerry Best 32° took parts in every Degree this month. Ken hosted the bar at the banquet. 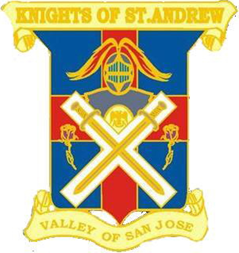 Gerry is also the Chief Knight of the Knights of Saint Andrew. Randy Downey, 32° took a big part in the 4th Degree while Ill. Roger Bibb, 33° kept a low profile, helping out behind the scenes. My favorite part of the Reunion was at the banquet Saturday night when we held a graduation ceremony. Rather than line the candidates up like a firing squad -- ready, aim, put on your caps! -- we had them walk through the arch one-by-one, and announced each by name. Each new member had a moment that was just for him. Everybody welcomed each new Brother to the San Jose Scottish Rite with a round of applause. Can you believe it? Somebody accused me of being the marketing guy for San Jose Scottish Rite. He said I went around hyping the organization like a salesman. It turns out the person who said that has not attended a Scottish Rite function in several years. In fact, I found out that his dues are a little behind. So I encouraged him to bring his dues up-to-date, and then bring himself up-to-date by coming out to for a nice dinner or a Night of Instruction. I may have to take off work early, drive to his house, and give him a ride to be sure he gets there.